The wait staff had an attitude, which surprised me greatly. This was our 8th cruise with Seabourn, and by far the least enjoyable. I don't think I would cruise on the Odyssey again. That being said, we are booked again on two cruises in 2020 and are not changing our reservations. We took this cruise with my son who just graduated from dental school as a celebration. We had a lot of fun, saw some new islands, took part in many of the ship's excursions, and enjoyed the ship. The celebration Seabourn had for us one night was outstanding. Truly astounding luxury experience. High quality of food, drink and service. Beautiful sea days spent on sparkling clean ship. Also pleased with Cruise specialist Linda! We had an incredible time on the cruise! This is certainly the type of cruise for people who like a quieter, calmer ship. We really loved the destinations, tours, and FOOD! The food on board was incredible! As well as the accomodations in the room and the service. The staff was so friendly, warm, and responsive! This cruise was an excellent "value for money" performer. The small and intimate size of the ship provides for an outstanding personal experience. The ships layout and design are exceptional and food quality incredible. 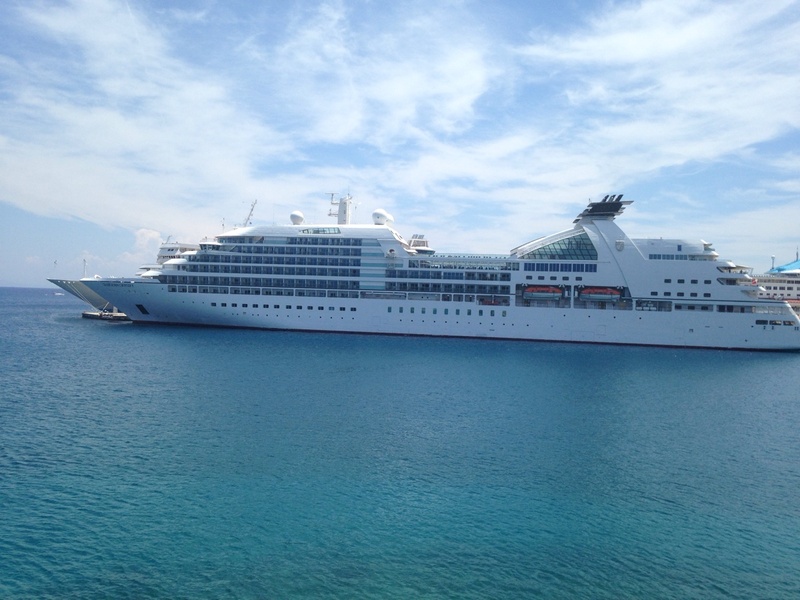 We would recommend Seabourn to friends and family. The ship was beautifully appointed. Our cabin was very comfortable and our stewardess did a wonderful job. We traveled with our sister and brother in-law. We enjoyed the trip very much. We could not have asked for more as far as the service and enjoyment on the ship. The staff, food, drink, entertainment and atmosphere made us wanting more. We will be returning to Seabourn for sure in the future. We loved the size of our cruise and the quality. The food was exceptional and the service was consistent. Amazing how many of them learned our names prior to even meeting! This was my 1st Seabourn Cruise and even though there were some $ issues at 1st (which Jeremy solved) it was a lovely cruise. The highlight was the Canal passage and the best onboard part was the great people with whom we traveled. Met wonderful people at our 1st dinner and then at the 1st day of Trivia. This developed into great friendships which we will truly miss. Suffice it to say these "folks" were from Canada, Dallas, Great Britain and Idaho among other places. Our rooms were spacious and masterly attended to by Tanya. 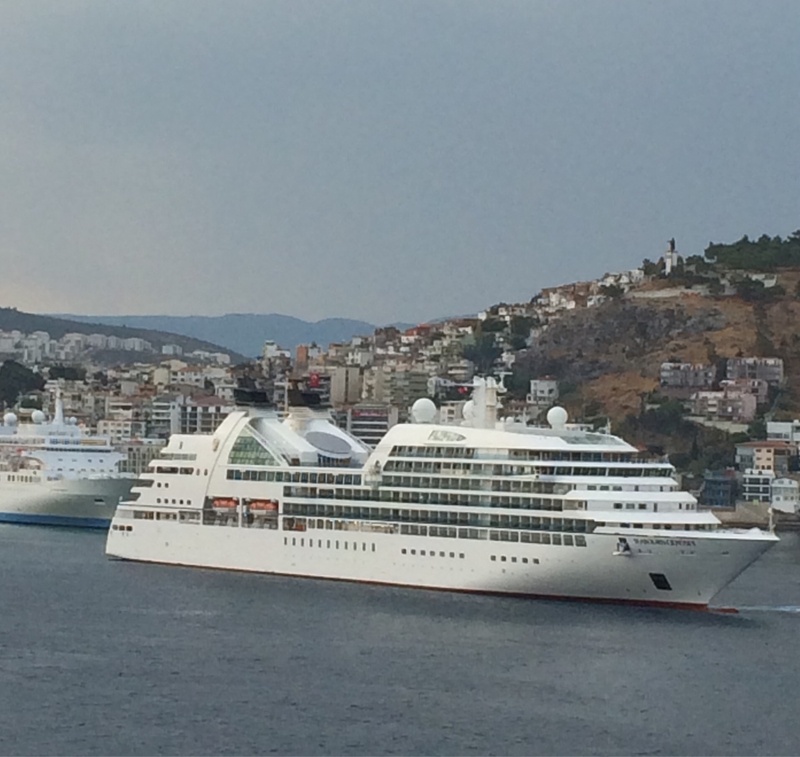 Many of our fellow travelers have been on numerous Seabourn cruises and always come back for more. The ship was just the right size and the journey smooth. My only concern was the excursions which I took. The Villages of the Sierra Madre was fun but the road to get to there was barely passable and some of the other trips encountered long drives and significant traffic .I realize there were limitations faced by Seabourn due to the ports where we stopped. On the other hand both the Gatun lock trip with Victor as an excellent guide and Whale Watching in Cabo were great. Decorations for Christmas and NYE were beautiful which helped pass the time waiting for the internet to function. Lectures, entertainers and food were all terrific too. Will we go Seaborning again ?? Our $ 500 deposits are already down ! Overall a wonderful experience. A few things could be improved upon-gym totally inadequate, loss of satellite for 2 days was very disappointing, and bridge director was not very good. Maybe they should give a few lectures on the ports of call before each stop. Panama Canal Excursion and then passing through the canal the next day were the highlights of the cruise.We met some great people and made good friends ( if we keep in touch. )The staff and us became good friends too and we were well taken care of. We frequented the Colonnade and the deck grill.They loved me because I had a word or a joke for everyone of them and generally kept them in good spirits and in turn they did the same. They looked forward to us eating with them and knew when we went to some other restaurant. The square staff was very good too, sweet and welcoming (always) providing us a quiet coffee or tea with a fantastic assortment of cakes and pies whenever we showed up. The office staff was great and took care of everything that we needed. I was able to complete two significant chapters in my book with their help and encouragement. The entertainment staff and guest speakers were very good too and we became good friends and hope to stay in touch. Seabourn Odyssey is great, the ship, crew, food, wine, etc. Best staff of any cruise line and continue to amaze at the friendliness and efficiency. Tangiers/Casablanca should be avoided; not much to see, and somewhat dirty cities, You are harassed in Casablanca even if you are sitting on bus. Beautiful ship and exceptional service but strictly for couples. As a solo traveler I felt excluded from social activities. I expressed my disappointment to the customer relations department on the 7th day and then received dinner invitations for the remaining 3 nights. No follow up communication from the customer relations department was received. Seabourne is the way to go. Very organized. Courteous staff and excellent service. Got to enter ports big ships could not go. Little extra touches like a tablecloth on your veranda table with room service. People knowing your name. Remembering our preferences. Excellent food. Birthday surprise! Can't compare to the big cruise lines. I will not go any other way now that I've had the Seabourne experience. Cheryl, our travel agent, was fabulous and helped us with our upgrade to the penthouse - she was extremely friendly, knowledgeable and fun to talk to. Cruising on Seabourn is akin to a floating Four Seasons - excellent service, terrific restaurants and just a 5 star experience overall. I loved everything, the service was A1 supreme, from the moment we got on. This ws my first cruise and and did not want to get off. fIirst of all you gt on board, they take you to your room, then your stewardess arrivees with champagne and hor d'oeuvres and 3 bars of soap (hermes, occitane say WOW). Everything is tp notch over the top great. How ever, it is appelaed to an older crowd (plus 60), I am much younger and did enjoy it so much anyway. This was our first trip on Seaborne and it lived up to the expectations that I had set. Since it costs more than your average cruise, I was curious about the value I felt we received and it met expectations. The little things like always providing bottled water when you leave the ship, restocking soft drinks in the cabin fridge, etc. set this cruise apart from others. If you choose to follow Seabourn Odyssey you will receive weekly email updates with the latest reviews, tips, and photos from Cruiseline.com members about Seabourn Odyssey.